I tried on the new Kitten D’Amour collection in store on Thursday and purchased one of the other dresses (think it will be my next outfit post). However, this was a close second and I’ll keep my eye on it. I love this particular peekaboo cut and wish there were more dresses like it. I also like the patterns in this dress, both of them alone are amazing but I adore them even more when mixed. Plus anything pink and purple is definitely my style. The one aspect of this piece I didn’t like was the absence of lining in the skirt section. I’m very particular about the quality of clothes (and most Kitten D’Amour dresses are lined) so that was disappointing. If it had lining it probably would have justified purchasing two dresses from the one collection. Ever since I started a routine involving A LOT a sport this year, I’ve loved Nike shoes. I’m not quite sure how I managed to acquire four pairs since the beginning of the year. The beautiful bright colours means there’s always a design I have my eye on; at the moment it’s this pink pair. I like both the Free Run design and the Free Run Distance design for training. For long runs and racing I like to run in Nike Fly Knit. I see a theme here; everything so far has been pink. It’s been a long time since I’ve purchased a piece other than a cardigan from Alannah Hill but at the moment I like many of the skirts and dresses. The floral print is very much my style and the fit and flare design is the only type of skirt I wear. I haven’t seen it in person yet, only online but I’m sure it’s just as pretty. I love these heels more than I can put into words. They are super pretty and I adore the vintage inspiration. 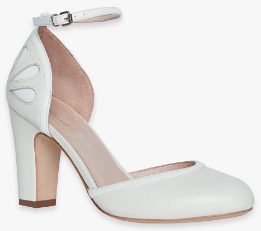 These heels remind me very much of a pair I used to have from Modcloth about five years ago. They were my favourite ever shoes but completely wore out and I’ve been desperate to replace them ever since. I think this would be the closest match I’ve ever seen. They also look comfortable as far as heels go. I’m not as willing to wear comfortable shoes as I used to be; need to save my feet and ankles for the long distance running. 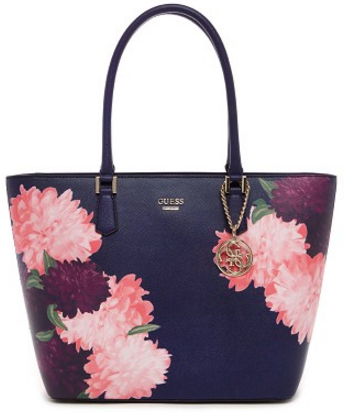 I’m drawn to many of the patterned bags in Guess at the moment and this is my favourite. I see another theme developing here and that is florals. It’s very classy with the black background against the floral accents. I haven’t purchased a Guess bag since maybe the start of the year. I was very put off by the experience I had with a Guess bag about a year ago (extremely poor quality where I ended up sending even the replacement back). But if I like a Guess bag enough now it might be time once again to get into the market again. It’s been ages since I purchased shoes from Wittner. I remember a few years ago the whole store was completely my style, but recently it’s been the opposite. However, I love this pair! I’ve always liked yellow shoes as they are so bright and happy, adding a lot to any outfit. The cut out detailing makes the shoes that little bit more interesting. They would be the perfect summer shoe. What is on your wishlist right now? This entry was posted in Current Loves, Wishlists. Bookmark the permalink. Loving that dress and so excited to see yours! The dress and skirt are so pretty! That first dress is gorgeous!! Nice to see you blogging- is rare nowadays! Those heels just go with everything! Great choices! That AH skirt looks so nice, and totally your style. :) Too bad about the Peekaboo dress not having a lining, but I guess you can just always wear a slip underneath. Those Nike's are brilliant – loving the color! I see you are loving PINK in November. The tote bag is so cute. I love that cake heel, so much easier to walk in. Are you enjoying this month of November, my dear? I miss visiting with you, Imogen. I've been so busy with moving. I love the skirt and the guess handbag. I currently have boots, boots, and more boots on my list. Great post. 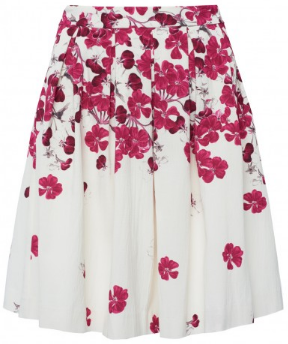 I am sure that the Alannah Hill skirt is as beautiful in person as it was online! It looks really sweet! 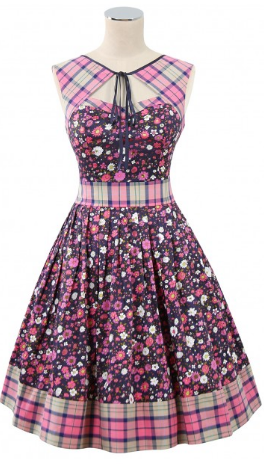 I looved the Kitten D'Amour dress and the shoes are sooo lovely! I know you are “sparing feet and ankles” for running, but they do look so comfortable! Hope you have a nice week! I'm loving these now too. That dress is beautiful but the skirt is my favourite what a nice piece!